The following are a series of Vocie Mail messages left on the phone of AngryHabsFan & AngrySensFan prior to tonight's game in Kanata. AngryHabsFan: Hey bud, hope things are going well. You guys had a bit of a tough time last night with the Capitals eh? We sorta walked all over them last Thursday. Markov will probably score 5 tonight, talk to you soon. AngrySensFan: Hey sorry I missed your call was too busy celebrating our big win. You know good teams win even when they don’t play well. Hey hows it feel to have your entire teams dressing room despise your best player? AngryHabsFan: Looks like we’re playing a bit of phone tag here. Your captain is sitting out games in his last season because he’s totally embarrassed to be out there with that line up you guys are icing. Why is everyone on your team sound like a James Bond villain? Whos that new guy? Knezinabinajapunjabi? Oh, and as far as the whole desping young talent, I think we’ll be okay. AngrySensFan: Hey sorry I didnt hear the phone ringing, I had Karlsson’s Norris Trophy plugging my ears. Hey funny thing, you know Karlsson’s a young talent and yet everyone loves the guy. Funny how that happens. As for Alfredsson he’s had maybe a Hall of Fame career for 20 years so I’ll cut him some slack. Hey who’s your captain again? How’s he been working out for ya so far? As for unpronounceable names, 9/10 people can't spell Galchenyoukrussiannameonanamericanplayer. AngryHabsFan: Sorry man, I was driving and missed that last call. Galchenyuk is the future of the habs forwards and Gallagher too. 1st AND 2nd star last night, when is the last time a Sens rookie pulled that off?? Anyways, I’m almost in Ottawa now, I feel bad for your building tonight. The Go Habs Go chants are going to drain out your entire building. Lightning fans are louder than you guys. AngrySensFan: Hey just missed your call. How many playoff games did you drive to last season? None? oh thats cute. You know the Senators iced about 10 rookies last season, thats how you bring on the future of a franchise, not with just 2 players. Im excited to see Markov play tonight, wont this game give him a new career high for games played in a season? 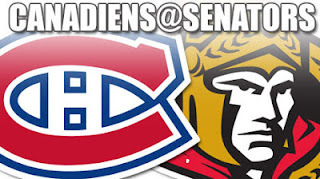 As for the Go Habs GO chant I think it will be hard to hear over the Alfie! Alfie! Alfie! chants at 11:11. AngryHabsFan: Is that really a thing, at 11:11? The Habs have the greatest players to wear number 11 all time, nice try sens fans. 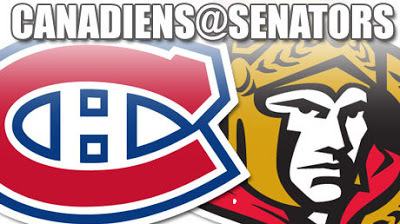 Why aren’t you answering your phone today, is your service provider a sponsor of the Senators? Anyways, I’ve gotta run it’s almost game time, I just sat down in my seat. Where are all the banners in your rafters? Thanks Jim! Go Habs Go!